For years, Wendy Gooditis tried to help her older brother Brian access medical care. When he was just 11 years old, he suffered a horrific trauma at the hands of someone outside their family, which resulted in post traumatic stress disorder, or PTSD. Brian’s condition was undiagnosed for much of his life — until about five years ago. One of the hallmark symptoms of PTSD is terror, particularly at night, something Gooditis said plagued her brother. Early on, Brian found that alcohol brought some relief to his terror-filled, sleepless nights. As an adult, the combination of PTSD, alcoholism and lack of proper care for either condition made his life difficult. In attempting to find adequate healthcare for her brother, Gooditis learned how challenging accessing care in the state of Virginia could be. She announced her candidacy at the end of February 2016 for a seat in the Virginia General Assembly. Two weeks later, she found her brother dead. He was 57 years old and Gooditis is haunted by the question of what his life might have been like if he’d had appropriate medical care. Gooditis was elected to the House in 2017 and when she got there, she wasn’t the only person who wanted to change healthcare in the state. In late May of 2018, Virginia’s General Assembly passed a budget that included Medicaid expansion, a provision of the federal Affordable Care Act, or ACA, that allowed states to choose whether to allow people at a slightly higher income to be eligible for the program. Governor Ralph Northam signed the bill on June 7 last year and on January 1, 2019, some 400,000 residents of the state will be eligible to enroll in Medicaid. Healthcare facilities across Virginia are beginning to prepare for the new population that is eligible for coverage under the federal program. At the same, though, the current presidential administration is working to dismantle the ACA, the law that made expansion possible. In many ways, the situation in Virginia reflects the national turmoil over the access and affordability of healthcare. On its face, Medicaid expansion seems like good news for clinics whose mission is to provide care for those who may not otherwise be able to afford it. Although qualifications vary from state to state, in Virginia the expansion population will include people who make up to 138 percent of the federal poverty level. For a family of four, that’s $42,435 per year in 2018. Many of those Virginians are using the services currently available at free clinics. That means, upon their enrollment, Medicaid could be a new source of income for these healthcare providers that typically rely on grants and donations to serve their client population. But these clinics will face significant challenges as they prepare to serve patients who are newly covered by Medicaid. The Virginia Association of Free and Charitable Clinics, VAFCC, provides a range of services for free clinics, such as technical assistance, training, advocacy and resource development. There are about 70 free and charitable clinics in Virginia; 63 are members of the VAFCC. Only about 10 of those members will accept Medicaid initially. The rest are evaluating their infrastructure, patient population and community needs before reaching a decision. CEO of VAFCC Linda Wilkinson said whether a health clinic will begin accepting Medicaid depends on multiple factors. One is whether they have the appropriate infrastructure internally to bill the federal program for the services they provide newly enrolled Medicaid patients. Another is whether these patients will have an alternative provider in their community to turn to should the clinics choose not to accept Medicaid. For some clinics, creating a billing infrastructure will take significant investments in the hardware to complete the process, like computer software and electronic records systems, but also could mean adding additional staff trained in the process, which can be expensive. When it comes to access, roughly half the state is classified as being medically underserved by the Virginia Healthcare Association. That means there are too few primary care providers, a high infant mortality rate, or a large population of elderly people, according to the Health Resources and Services Administration. In addition, many areas of Virginia are considered health professional shortage areas, where there aren’t enough providers to serve the population. Whether there are enough providers in any given community can be a politically-charged issue, but so can the eligibility requirements. Wilkinson said about 100,000 Virginians who earn between 139 percent and 200 percent of the federal poverty level will remain uninsured. Some clinics will continue to provide free or charitable care and serve that segment of the population. The Sinclair Health Clinic in Winchester, Virginia, is one of the 10 VAFCC member clinics that intends to begin accepting Medicaid in January. Since approximately 80 percent of the clinic’s patients will be eligible for the program under expansion, the decision was a foregone conclusion for Executive Director Brandon Jennings for a couple of reasons. For one thing, there aren’t enough providers in the area to absorb that many new patients. “Having 1,600 patients on day one needing to find a provider would be downright impossible for a town of our size, and I would argue [that would be true] for a lot of towns in Virginia,” Jennings said. The clinic was already having trouble placing clients with specialists before Medicaid expansion became an option, he added. Even though the clinic will accept Medicaid, Jennings said patients will ultimately have more control over what doctor they can see. Without expansion, most of them can’t afford to see another provider. But, the decision to begin accepting Medicaid means the clinic will need to make some fairly drastic changes to how it operates. Care is currently provided free of cost to all patients so there is no billing department at the Sinclair Health Clinic. As a facility that accepts Medicaid, however, they will need to bill Medicaid, but that’s not necessarily a simple task. Healthcare is a heavily regulated industry and the Centers for Medicare and Medicaid Services has strict regulations that all practices who bill them for services must abide by. But the Sinclair Health Clinic has at least one advantage as they shift to accepting Medicaid: two of their staff members previously worked in practices that billed, although not specifically Medicaid. Still, there will be challenges in building an infrastructure to handle billing. The clinic has been working with Athena, the company that supplies their electronic medical records system, which has a billing component. The challenges the Sinclair Health Clinic is facing in the wake of Medicaid expansion is similar to that of other free clinics across Virginia, including the Health Wagon in the Appalachian Mountains of southwest Virginia. Clients of the Health Wagon usually don’t have health insurance, often live in chronic poverty and many have low educational attainment. Preliminary estimates at the Health Wagon show that about 50 percent of their clients served by their one mobile and two brick-and-mortar clinics will become eligible for Medicaid under expansion. Executive Director Dr. Teresa Gardner Tyson stresses that those are very early estimates and said she expects that number to grow. The organization partners with Remote Area Medical (RAM) each year for the Remote Area Medical – Wise Health Expedition, the largest medical outreach of its kind in the country. The program provides free health, vision and dental care at what’s usually a one day event. People arrive sometimes days in advance to wait in line to get care they otherwise would be unable to access. Tyson contends that the free event, held every July, was instrumental in the political shift in the state that led to Medicaid expansion. People who come after that, Tyson said, are turned away. “I think it’s been very eye-opening for them,” Tyson said. She wants politicians to understand that in the United States, in 2018, people sometimes arrive a week in advance to get healthcare. 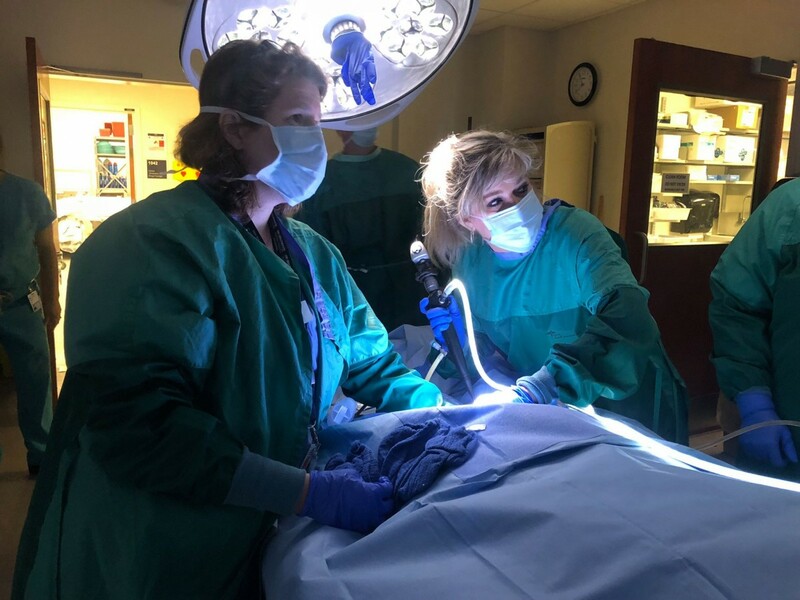 “This is happening in central Appalachia, where we need more focus to help us turn around healthcare disparities here in the mountains,” she said. Although Tyson said her organization is in the preliminary stages of determining if they will accept Medicaid, the Health Wagon faces the same challenges as the Sinclair Health Clinic. Medicaid billing would also be a new practice for the nonprofit, but Tyson said the Health Wagon is considering an alternative approach. Rather than changing the way the two existing clinics operate, the Health Wagon may add a third physical location to solely serve the newly expanded Medicaid population. “It’s a very real possibility that we’ll open up a rural health clinic and get those patients into care there,” said Tyson. There is perhaps an additional obstacle for the Health Wagon, though– the culture of their clients. In addition to billing CMS for services, practices that accept Medicaid must also send a copy of that bill to the patient. Patients aren’t required to pay anything, but Tyson is worried that some of the population she serves might not understand that. After all, they currently receive their healthcare free of cost and never have to look at a paper bill. “From a cultural perspective, if they receive that [Medicaid statement], it might be a barrier for them to returning for care if they thought they owed a bill and they weren’t able to pay it,” she said. Before either the Sinclair Health Clinic or the Health Wagon can begin seeing Medicaid patients or billing for services, eligible patients have to apply to actually receive Medicaid benefits. And the application is complex. Jennings, with the Sinclair Health Clinic, said their staff has been completing mock applications so they can understand what their clients will be facing, and so far, even the healthcare professionals on his staff have been confused. That can potentially mean problems for this population, Jennings said, some of whom struggle with literacy. Just being eligible for coverage under Medicaid expansion isn’t enough, Jennings said. Patients must be enrolled in the program to receive coverage. The Health Wagon has applied for a grant to fund two eligibility coordinators to help clients apply for Medicaid. “We want to get our patients into the system so that they have access to the care we have long championed for,” Tyson said. The VAFCC has some resources available to help clinics handle this aspect of expansion, according to Wilkinson. She also said the Department of Medical Assistance Services, the Virginia State Department of Social Services and coverVA.org are doing excellent, and necessary, work to make residents aware of their potential eligibility, as well as help them apply. “Some patients may have health insurance for the first time in their life,” she said, but issues with the application and technology may pose a problem, just as they did in the early days of the ACA. When the online marketplace to purchase insurance through the ACA was initially rolled out under the Obama administration, results were disastrous. Headlines in early October 2013 included: “Tech Problems Plague First Day of Health Exchange Rollout” from NPR and “How Long To Fix Obamacare Tech Problems? Long” from CNBC, among many others. Technical glitches in the Healthcare Exchange have continued over the years, but now, the Trump administration is committing fewer resources to helping enrollees work through those problems. Even so, approximately 11.8 million people signed up for coverage under the ACA in 2018 and around 27 percent of them were new to the program. The fact that Virginia, once a reliably red state, is now decidedly purple may be due in large part to the issue of healthcare. It spurred Gooditis to run for office, and several Republican lawmakers joined Democrats in the vote earlier this year to expand Medicaid in the state. “I came to the conclusion, for me and my district, that ‘no’ just wasn’t the answer any longer,” Republican State Senator Ben Chafin told the New York Times in May. 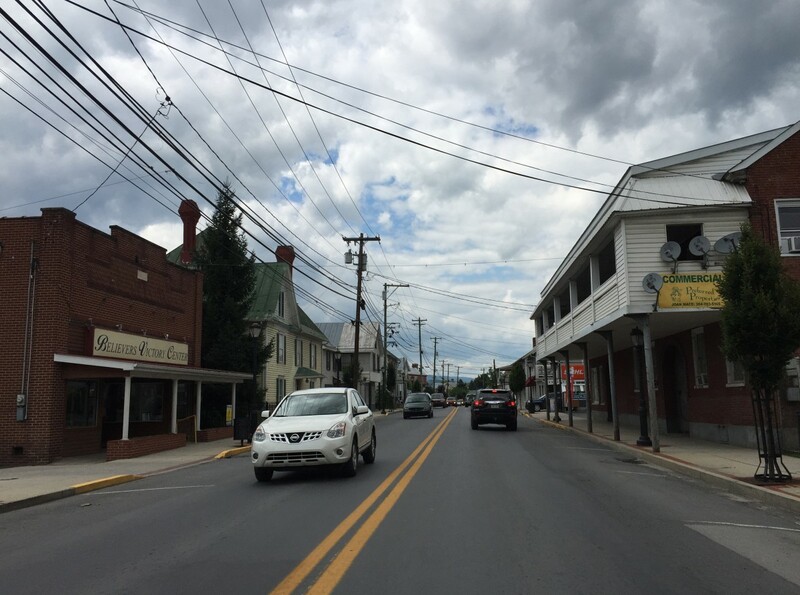 Chafin represents the area served by the Health Wagon in southwestern Virginia. “Doing nothing about the medical conditions, the state of health care in my district, just wasn’t the answer,” Chafin added. Chafin is not alone in his stance. Other Republicans are also changing how they talk about healthcare. The Washington Post reports that in 2014, 84 percent of ads about healthcare from Republicans or from organizations affiliated with the Republican party, attacked the ACA. In current midterm campaigns, Republicans seem to be avoiding the issue of healthcare altogether. “Yeah, we probably can’t talk credibly about repeal and replace anymore,” Republican Congressman Tom MacArthur of New Jersey told the Post. Notably, there’s nothing about the issue of healthcare on Virginia Congresswoman Barbara Comstock’s website. Comstock represents the 10th district, which includes Winchester, where the Sinclair Health Clinic is located. In 2014, her campaign platform included repealing and replacing Obamacare. Comstock’s office did not respond to a request for an interview for this article. In four states, Montana, Nebraska, Idaho and Utah, Medicaid expansion will be on the ballot in November. The Fairness Project, a grassroots organization that supports economic fairness, is working with groups in those states to give voters a voice in the debate. “Ballot initiatives are powerful because they strip away the political theater and partisanship, cut out the lawyers and lobbyists and give voters a clear, direct way to help their families and their neighbors,” said Jonathan Schleifer, executive director of the Fairness Project, via email. Despite the problems that Medicaid expansion will create for free and charitable clinics in the state of Virginia, many administrators and advocates are enthusiastic about more people being able to access healthcare, including Sinclair Health Clinic’s Jennings and the Health Wagon’s Tyson. The two will continue to consider how changes to their billing and operational systems will impact their patients and clinics over the next few months, and will handle events outside of their control as they happen. The nation is not keeping pace with repairing and replacing more than 400,000 affordable rental units that serve low-income rural residents. Without action, a cascade of rentals will age out of the program, creating a housing gap that could contribute to rural population loss, according to the Housing Assistance Council. Rural America faces an affordable-housing crisis that, if left unchecked, could raise rents for low-income residents and contribute to rural population loss in coming years, a national nonprofit organization says. 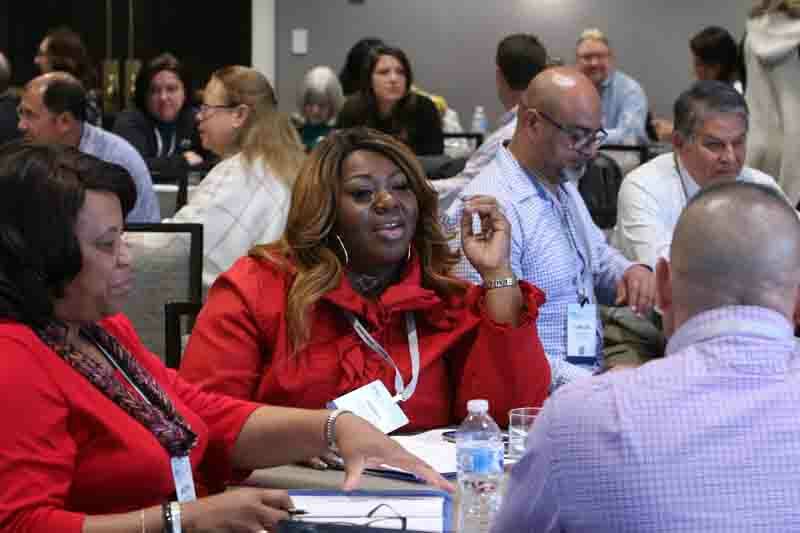 The Housing Assistance Council (HAC) sounded the alarm during its recent biannual conference. The question is not “if,” but “when” the crisis will occur, according to HAC. Hundreds of thousands of rental units could age out of a USDA affordable housing program in the next 25 years. The result is likely to be steep rent increases for rural residents who can least afford it. “There are about 415,000 units still in existence in this program,” HAC’s CEO, David Lipsetz told the Daily Yonder at the conference in Washington, D.C. “Every single one of those units is on a time clock. Every single one of those units without some action to recapitalize the property is going to deteriorate.” Without reinvestment, the properties will have to leave the affordable rental program. “We have these units, we have this stock,” Lipsetz said. “If we don’t fund it well enough to even keep what we have, we’re going to continue to depopulate rural places.” He said failing to allocate enough funding for upkeep and rehabilitation will mean that rural communities will lose an important asset. Though the rural cost of living is lower than it is in major metropolitan areas, adequate housing is still a big problem in smaller communities, said Stephen Sugg, HAC’s government relations manager. “We’re learning that in rural housing, there is a crisis and people think that it’s different than urban America,” he said. “It looks different, but very high percentages of rural renters are paying over half their income in rent.” Losing affordable rental units that were constructed through the USDA 515 program will make that problem worse, Sugg said. USDA’s Section 515 Rural Rental Housing is among the few rental housing programs specifically for rural communities, according to the HAC report. The program started in 1963 and has financed more than 533,000 apartment units in nearly 28,000 different developments. The program supports mortgages for the builders of rental housing for very-low-, low-, and moderate-income families, elderly persons, and persons with disabilities. Those groups face the gravest danger. Once the properties that hold their units exit the program after being paid off by the owner, the individuals might find themselves unable to participate in the unsubsidized rental market. Just how big of an issue for rural America is the housing provided through the Section 515? According to HAC’s data, 87 percent of all counties in the United States have at least one USDA multifamily property. “The leading edge social science research now tells us that housing is one of the most powerful predictors of your wealth, of your economic mobility, your educational outcomes and very importantly your health outcomes,” Lipsetz told the Daily Yonder. What worries analysts and researchers at HAC is the number of maturing mortgages on the Section 515 properties that will exit the market. According to the report, nearly 90 percent of USDA’s portfolio is over 20 years old, while over half of those properties are over 30 years old. “When a USDA Section 515 loan ends for any reason, the property also loses its Section 521 Rental Assistance. Some properties are restricted to low-income use for a period of time after they leave the program. In instances where there is no restrictive use provision, owners may increase rents to levels their low-income tenants may not be able to afford,” states the HAC report. The numbers of units that will no longer be available in the coming decades to some of the poorest residents in rural America are staggering. We are currently in what HAC describes as the build up phase, meaning that the loss of projects and individual units in the coming several years will remain roughly under 5000 units per year. But it is after that build up phase, while the affordable housing market enters the first peak phase, when the situation is projected to deteriorate rapidly. Furthermore, over 48,000 units are located in what is characterized as high risk counties, meaning that the markets are either declining or rapidly expanding. The consequences of mortgages maturing on the USDA properties will be compounded by other factors as well. Ninety percent of counties with Section 515 properties are counties persistent poverty. HAC estimated that in 77 of those counties Section 515 units constitutes more than 10 percent of the total rental stock. “Over 5,400 Section 515 properties are in counties where more than half of all rental households are cost-burdened. The majority of these are located in the Southeast and Far West, with a relatively high percentage of African-American and Hispanic tenants,” concluded the report. 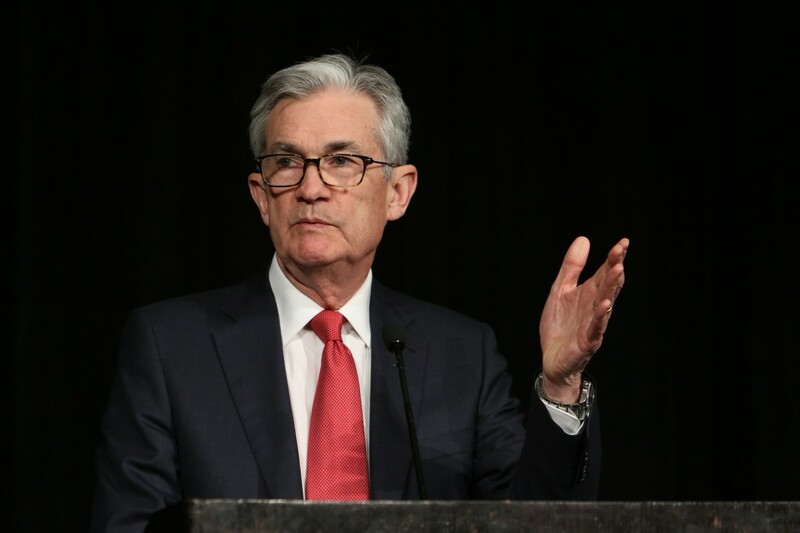 Federal Reserve Chairman Jerome Powell says economic recovery has been uneven for rural communities and other specific parts of the U.S. Powell addressed the Housing Assistance Council conference in Washington, D.C., on December 6. Photo: Courtesy of HAC. © Rick Reinhard 2018. Used with permission. Congress has ignored requests from the Trump administration to zero out rural housing programs. But merely protecting current funding will not address rural housing needs adequately, advocates say. Building stronger rural communities requires creating new housing initiatives, not just preserving the housing stock that is already in place, says the head of a national rural housing nonprofit. Rural affordable housing units exist today because they were a public priority years ago. There’s less focus on the issue today, Lipsetz said. The new organizations are not emerging because rural affordable housing hasn’t been high enough on the public agenda in recent years, Lipsetz said. In an era of divisive politics, rural housing is less partisan than other issues. “Rural housing is one of the few areas left in D.C. […] where there is true bipartisan support for it,” HAC’s Government Relations Manager Stephen Sugg said. But challenges remain. Among the most serious: the question of funding. Everyone echoed the same message – housing programs and housing stock already in place need to be preserved, and it won’t happen without money. Congress agreed across party lines to reject the administration’s budget proposal for rural housing. “Do we have to continue to get lucky like that every year?” Lipsetz asked. Lipsetz emphasized that the key to the healthy, affordable housing is a holistic approach toward issues of rural and small town America. Without policies taking into consideration impacts on towns of 1,000, as well as 100,000, there will be more harm than good delivered to some of the poorest parts of America. Affordable housing is critical for addressing other rural policy areas, Lipsetz said, especially for affordable-housing clients such as the elderly, disabled, and very low-income (families making between $12,000 to $15,000 a year). Lipsetz also said private philanthropy needs to be more involved in rural housing. “In the era of shrinking government, corporate and philanthropic organizations have a strong interest that they are not serving well in this part of the population,” he said. Among the guest speakers at the conference was Senator Catherine Cortez Masto of Nevada. The Democrat sits on the Committee on Banking, Housing, and Urban Affairs, the Committee on Indian Affairs, and the Special Committee on Aging, giving her several places to address housing issues. Cortez Masto is co-sponsoring a number of bills, including the Affordable Housing Credit Improvement Act, a bipartisan bill aiming to provide 1.3 million additional rental homes nationwide in the next decade and expand the low-income housing tax credit by another 50 percent. The bill would also provide a 50 percent basis boost to developments that set aside 20 percent of units for the lowest income families and 30 percent basis boost for difficult-to-develop areas. That last incentive is of particular importance to Native American communities. In Nevada alone there are 26 Native communities that could benefit from that development incentive. Despite overall readings that indicate labor market to be strong nationwide, Powell stressed that parts of America – rural parts in particular – still lag in benefitting from the current economic expansion. Powell also highlighted the Fed’s involvement in a digital inclusion initiative and collaborative research with banks and Fed staff on rural affordable-housing challenges. Siblings Hannah and Hilary Heishman were born and raised in Moorefield, a town of some 2,500 in West Virginia’s eastern panhandle. Hannah and her husband, Kris Jenkins, have built a life for themselves in Moorefield. They’re both veterans and volunteer for all manner of vet-related activities throughout Hardy County – barbecuing at fundraisers, helping out whenever and wherever they can. Hannah and Kris overhear that an ambulance is headed to the local VFW, a place the couple knows well. Hannah is an EMT and all at once, she and her husband jump up from the table, en route to assist. Hilary tells the story not only for what it confirms about her family, but because, from her perspective, it underscores a truth about rural America at large – one substantiated in a newly released report. Last week, the Robert Wood Johnson Foundation, National Public Radio and the Harvard T.H. Chan School of Public Health released “Life in Rural America,” reporting the results of a telephone survey of 1,320 adults living in rural communities throughout the country. Hilary Heishman is a senior program officer for the Robert Wood Johnson Foundation who assists with the foundation’s rural grant-making. Its objective was to gain insight into rural Americans’ views on the economic and health issues challenging their communities. Those surveyed asserted that their most pressing concerns are jobs and the local economy and addiction. This comes as no surprise to anyone familiar with life today in rural communities – certainly not to Heishman – but neither is she surprised by another significant finding of the report: Throughout rural America, optimism abides. Rural Americans, the authors of the report write, are largely optimistic about the future, with a majority expressing faith in their community and lauding its virtues – foremost, a shared sense of just that: community. Certainly, rural America is, in many respects, reeling. Rural communities are staring down some grim truths. A majority of those surveyed rate their local economy as only fair or poor. They’re concerned about their job prospects. One in three say they need to receive training or develop new skills in order to keep their job or find a better one. Interestingly, though, those without a college degree are more optimistic about solving major community problems than those with one. Half of those surveyed say the cost of their family’s health care has caused a major financial problem within the last few years. Drug misuse is of equal concern. “In particular,” the authors of “Life in Rural America” write, “opioid addiction/abuse have had major impacts on the lives of rural Americans.” A majority state that opioid addiction is a serious problem in their community; about half say they personally know someone who has struggled with opioid addiction. In rural Appalachia, drugs are of even greater concern than among rural residents as a whole. Four in 10 in the region consider them the most urgent issue facing their community. Three out of four say that “the problem of people being addicted to opioids in their local community” is a serious one. Two-thirds say the issue has grown worse in the past five years. Factor into this the findings of another Robert Wood Johnson study, conducted earlier this year, indicating that Appalachia has higher than average mortality rates in seven of the leading causes of death in the U.S., including addiction and suicide, and Appalachians’ concerns are well founded. They like where they live. The authors write that many of those interviewed say they feel attached to their community, identifying its intimacy, the virtues of life in a small town and being around good people as its greatest strengths. “They’re glad to have the help of neighbors,” Heishman said. Better public schools, new-skills training and long-term job growth, they acknowledge, is required. Outside help will be essential. Among those who cite the need for that assistance, a majority believe the government will play a primary role. Another finding that echoes Heishman’s everyday experience, and encourages her, is that more rural residents under the age of 50 than above say they’re active in efforts to solve their community’s problems. In sum, what Heishman hears in “Life in Rural America” sounds like home. There in Hardy County, West Virginia, Heishman’s optimism is embodied in her sister. Four generations of the Heishman family have owned and operated the local newspaper, the Moorefield Examiner. Hannah – veteran, EMT, community volunteer – is today its associate publisher, maintaining a tradition and helping assure that the voice of a community is heard.